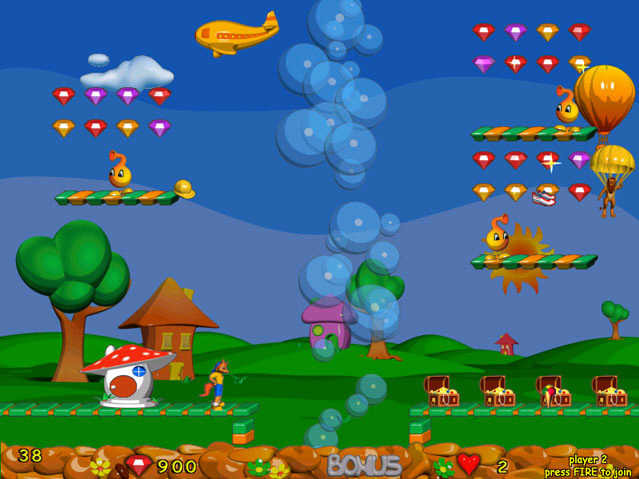 Strike Ball Game - Just when you thought Arkanoid variations exhausted themselves, Strike Ball enters the scene. 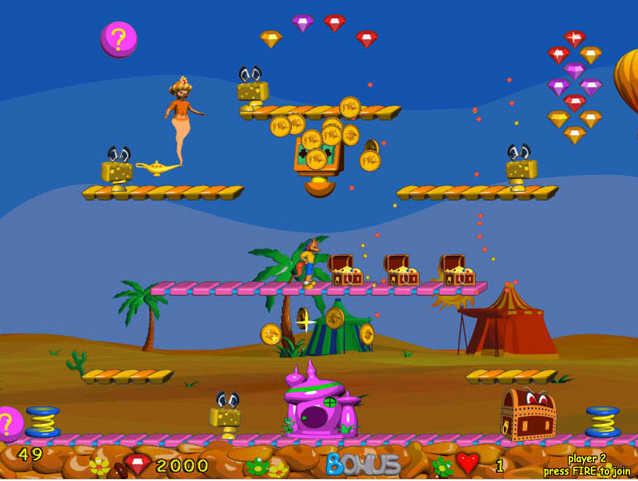 Foxy Jumper 2 Game - the long awaited sequel to the popular arcade featuring a fox cub that couldn't stop jumping. The objective is still the same (get to the door), but it's not as easy as in the first game. multiple opponents, each with own behavior pattern. 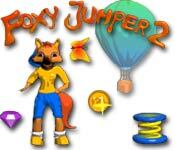 Foxy Jumper + Foxy Jumper 2 Retail Price: $39.91 Save $6.00! Crusaders Of Space - Safter an unexpected attack by the aliens, a long and exhausting war has followed. 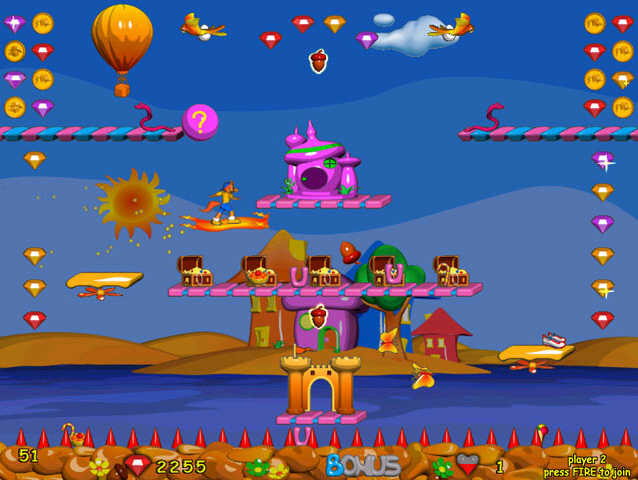 El Airplane - It is a spoof on popular scrolling shooters game. you are to pilot the most unusual airplane in the world !